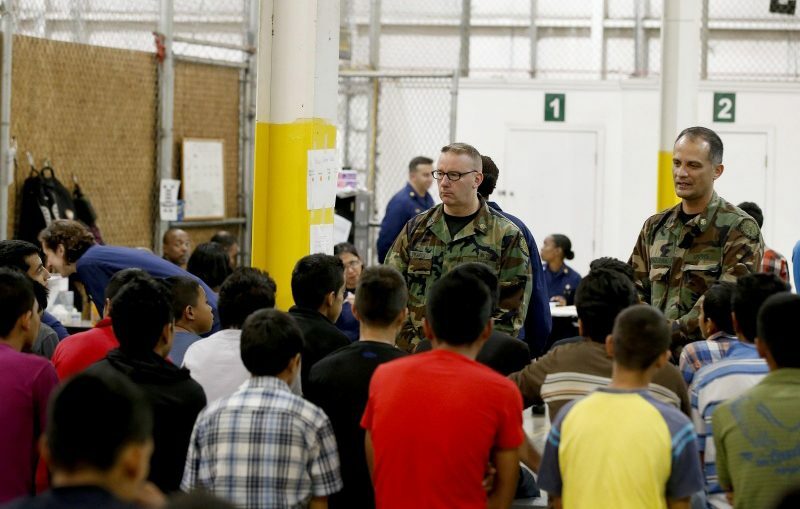 Boys in a holding area at a Border Protection center in Nogales, Ariz. Generally, minors are put into deportation proceedings and given a “Notice To Appear” in immigration court, but they have permission to stay in the country while the U.S. decides their fate. On today’s show we’ll spend the hour discussing the cruelty of the US immigration system ahead of President Trump’s which is sure to focus on his demand for a border wall. First Saira Draper of the Southern Poverty Law Center will join us to explain the major class action lawsuit representing 10,000 undocumented detained children. Then immigration attorney and author J J. Mulligan Sepulveda on his new book, No Human Is Illegal: An Attorney On the Front Lines of the Immigration War.